Once again I’m reblogging an article from Your Life Your Voice. I love what I’ve found on there. My post 13 reasons why not is from there, too. Life can feel ​impossible sometimes…. Sometimes things can get so overwhelming that you might want to crawl into your bed and never leave the safety of your covers. Or maybe your thoughts are more serious, and you’ve considered ending your life to escape your situation. 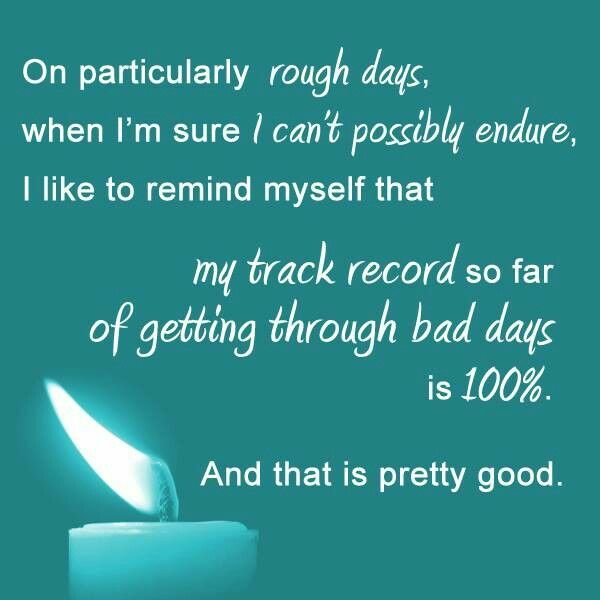 No matter what you are going through, just know that you can get through this. Here are 20 questions to ask yourself if you are feeling hopeless, helpless, or just down in the dumps. Did you take a shower today? If you have not bathed yourself in the past 24 hours, go do it right now. Have you eaten anything healthy in the past few hours? Candy bars and soda don’t cut it. Go eat something that can give your body healthy energy, like a banana, a handful of nuts, or a piece of cheese. Have you had any water to drink in the past hour? Being dehydrated can make anyone feel terrible. Go drink some water. Did you get enough sleep last night? If not, take a nap. Go to bed an hour or two earlier tonight. Sleep is critically important for good mental health, so make sure you are getting enough on a daily basis. Have you gone on a walk in the past 24 hours? Not just a walk to the bathroom or fridge, but a walk that lasts around 30 minutes. If going outside is not an option for you, walk around the mall or a large store. Is it daytime, and are you dressed? Take off your pajamas and get cleaned up. Wear something that you really like, such as a dress, nice shirt, or your favorite pair of shoes. Put on make-up. Shave. Is it nighttime, and you can’t sleep? Go get your pajamas on. Fill your bed up with blankets, pillows, or stuffed animals. Put all electronics away, and then lay down with your eyes closed for 15 minutes. It might help to turn on a noise machine, fan, or an hour long YouTube video with the sound of rain falling. Any recent medication changes? If you’ve been put on (or taken off) of a medication, missed a dose, or have been switched to a generic brand, this can really throw your body and mind for a loop. Wait a few days and see if things improve, but it they do not, give your doctor a call and let them know. Do you feel unattractive? Go back to question 6, then take a selfie and post it on social media. Your friends will love your pic and you’ll feel better about yourself. Did you sing today or dance today? If not, turn on a song you know by heart, move to music, and sing at the top of your lungs. Have you hugged someone recently? If not, it’s time to go approach a friend, parent, sibling, or even your pet to get a hug. You may be surprise at how some basic physical contact can turn even the worst day around. Have you given someone a compliment in the past 24 hours? If not, go do it. This could be on social media or in person. Wait until you see something incredible about someone and then let them know. Do your friends know what you’re going through? If not, call them right now and tell them. It’s important that you let other people know how you’re feeling. Are you focused forward, or do you dwell on the past? Past events and things in this moment may be painful– but what about in a month, a year, 5 years? You never know what wonderful things may be around the corner for you. Allow yourself to hope and dream; set goals, and look at the road ahead instead of your rearview mirror. When is the last time you’ve told your story? It’s important to write or talk about what you have been through. Today, write about your journey in a journal or via a blog or safe forum (try Reachout.com). Do you feel unproductive? Make a list of two small things you can complete today (i.e. laundry, dishes, responding to an email, homework assignment), and go do it. Do you feel frozen by a major decision you have to make? Take 10 minutes and come up with a plan for your day. Make a to-do list and start working through it. Put the major decision on the backburner for a few hours, and focus on the little tasks you need to accomplish. At the end of the day, journal about your major decision, as this can help to process your thoughts. The right decision will come to you at the right time. Have you exhausted yourself lately- physically, socially, emotionally, or intellectually? Giving a lot of yourself to any activity can take a toll that might last for a few days. Think of yourself as a battery- you need time to recharge after you’ve used up your energy. Be gentle with yourself, and take time to recoup. Maybe that looks like watching a funny movie, spending time alone, or sleeping a few extra hours this week. Have you waited a week? When life starts to get you down, it’s easy to feel like things have always been this way, even when that’s not true. Today, it’s important that you make a commitment to keep yourself going for a week, whatever it takes. If you are still feeling this way seven days from now, get help from someone you trust. You deserve to feel better and there is a lot of help out there for you. Never give up. Have you talked to a counselor recently? If you do not have a counselor, give one of ours a call (for free! ): 800-448-3000. If you have a counselor, make an appointment and talk about what’s going on in your life. Great volunteered in the gallery Saturday and went to two farmers markets Sunday, thanks … how was yours? Went to a hotel overnight which was fun. These are such fantastic questions and prompts, both practical and useful, and reassuring. Brilliant post, Eliza ?